Traveling with a ukulele can be problematic if you don’t select the correct one. While most ukes are built to last, some are fragile despite their expensive price tag. Others are also large and bulky so it’s not hard to see how they could be damaged during your travels. What should you do about it? 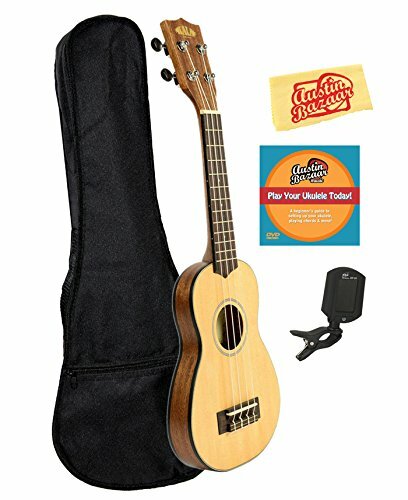 The best course of action that experts would recommend is to buy a high quality travel ukulele designed especially for these types of situations. Whether you’re on a train, or you’ve just started off on a long hiking trip, taking a lighter, more resilient and infinitely more practical travel ukulele with you can be a truly rewarding experience. The Kala KA-SSTU-TE is considered to be one of the top most popular and best sounding travel ukulele models currently on the market. Its solid spruce top, rosewood fingerboard and durable mahogany neck will ensure you have no trouble transporting this instrument even on rougher rides and more challenging trails. The quality and refined craftsmanship associated with this model ensures you can enjoy a surprisingly full and enriched sound despite its 1″ to 1-5/8″ thin body depth. This uke also includes state-of-the-art electronics with the B-BAND active EQ and features such as refined volume and tone adjustment for the preamp. The Kala is easy to tune, easy to play, and you can connect it to the pickup without any sound distortions. Because of its remarkable quality, most experts would recommend this ukulele, if you’re serious about learning or playing the uke on your travels. This lighter soprano uke is in no way less noteworthy when it comes to quality. While smaller in size and more manageable, it features a solid spruce top and mahogany back and side, just like larger Kala models. 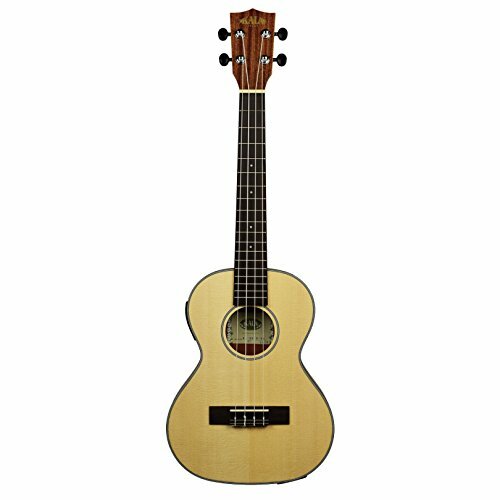 It has a 1 1/4 to 1 3/4 Inch archback thin body that makes it lighter and easier to store than most travel ukes; in fact, it’s the lightest model in our list, weighing just over 13 ounces. Well worth its price, it features a clean and bright design that also has all the practical advantages you’d expect from a good travel uke. Moreover, advanced players can tell you that its tone is virtually unbeatable among smaller size ukes, and its playability definitely makes it compete with a lot of the more expensive brands on the market. 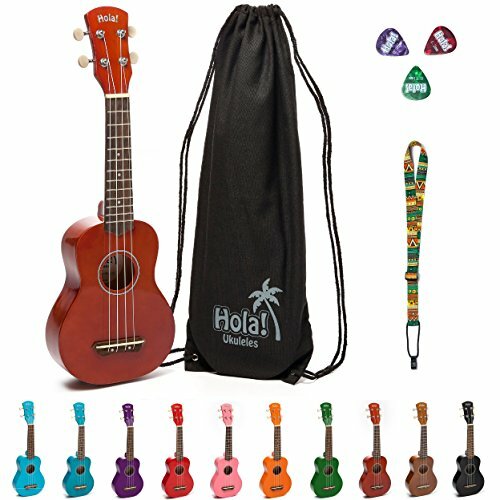 Travel ukes are available within a wide pricing range. This is an exceptional advantage over standard size ukuleles, since buying a good thin body instrument can also help you save a lot on your purchase. While you can find ukuleles for under $50, it is also important to make sure you shop for quality. The following instruments are considered to be among the best travel ukuleles you can get on a tighter budget. The Hola! Music soprano uke has everything you need from a tiny, yet playable and reliable ukulele. Nevertheless, its price will surprise you, and experts can tell you that it’s one of the most affordable instruments you can get when it comes to ensuring quality, variety and class. Its maple top and sides fit well together with the beautiful rosewood fingerboard and bridge, and the ukulele comes with many design options. The size, materials and finish of the uke are all built for practical appeal and to retain the natural feel and quality of the wood for as long as possible. 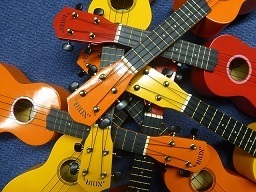 Surprisingly, you’ll also find hundreds of reviewers praising the uke for its outstandingly warm and rich tones as well. This Eddy Finn model is yet another durable and highly practical low-cost ukulele featuring an all-wood design. Its clean appearance and professional look have inspired and impressed even the more experienced players who have come across it. Despite its durable design and rich sound, it’s still only slightly more expensive than the Hola! Music soprano uke. Some of its handiest features include geared tuning keys, a highly refined, ebonized bridge and fingerboard, and a carry bag that allows you to take it just about anywhere. Attesting to the Eddy Finn Minnow’s quality and durability rating is its 10-year warranty, an advantage you don’t usually see when it comes to cheaper ukuleles. Thin body ukes are much more compact in their construction. Despite the fact that they hold true to the regular soprano, concert, tenor or baritone sizes, they are less than 2 inches in depth, which makes them extremely practical when it comes to traveling. They are also more durable than a standard uke. As you have seen from the reviews, the best thin body travel ukuleles are built for quality and made especially to be more resilient. You can take them just about anywhere with you. Thin body ukes are designed to be transported with ease even when you’re on a plane. They often come with resilient carry bags that protect them from wear and damage, and they’re also extremely lightweight. It’s not uncommon for a well-designed travel ukulele to weigh only 1 lbs to 1.2 lbs. Despite being lighter and less expensive overall, thin body ukes are not made from plastic or other cheap materials. The best models are made from rosewood, mahogany, spruce and other top quality materials that will make your ukulele sound beautiful. In terms of the sound that a travel uke makes, you don’t have to worry about tuning and quality-related issues. You can still play at a professional level with these beautiful and highly practical instruments. While the sound might differ in a sense that it’s not as deep or powerful as that of a full-size standard ukulele, it can also sound sweeter and add more flavor to your music. All in all, there are plenty of good reasons for choosing the best travel ukulele. It will not only provide you with added peace of mind during your travels, but also give you an enriched and enjoyable experience overall.